08. 04. 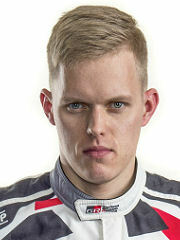 2018 13:14 12 (8 - Tänak Ott / Järveoja Martin): To be honest I can't complain too much. I know for a long time that Corsica is one of my weakest events, I never could push the maximum I was just consistent all the time. A good weekend overall. 08. 04. 2018 10:22 11 (8 - Tänak Ott / Järveoja Martin): I can't push like maximum, there is a little bit more understeer so I can't push like I did yesterday but I'm just keeping it clean. 07. 04. 2018 19:02 10 (8 - Tänak Ott / Järveoja Martin): Yeah we did a good run, but obviously Lappi has been flying all afternoon and has been doing a great job. It's a shame that Kris is off the road. 07. 04. 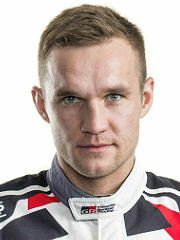 2018 17:27 9 (8 - Tänak Ott / Järveoja Martin): Lappi is doing a really good job to put the pressure on all of us in the battle for second. 07. 04. 2018 15:58 8 (8 - Tänak Ott / Järveoja Martin): Not really capable of pushing hard, but generally it was clean. 07. 04. 2018 12:02 7 (8 - Tänak Ott / Järveoja Martin): It is a bit safer to go faster on this stage, the changes we did to the car yesterday were good. We made a few mistakes which hampered us in the opening stages, tomorrow we'll get rid of those mistakes. 07. 04. 2018 10:07 6 (8 - Tänak Ott / Järveoja Martin): We had no issues, it was working okay. 07. 04. 2018 08:46 5 (8 - Tänak Ott / Järveoja Martin): Yeah I had a problem, every time I touched the handbrake it stalled me. Notes could be better as well. 06. 04. 2018 17:11 4 (8 - Tänak Ott / Järveoja Martin): It is my first asphalt event with the car but we have a good feeling in the car and we are playing with a couple of things. 06. 04. 2018 16:03 3 (8 - Tänak Ott / Järveoja Martin): More stability in the car but we sacrificed a lot in the balance when turning in. 06. 04. 2018 11:34 2 (8 - Tänak Ott / Järveoja Martin): I am not too happy, there are issues with the rear on my car, I think it is setup issues. 06. 04. 2018 10:40 1 (8 - Tänak Ott / Järveoja Martin): There is some water at that start which shot my brakes, it took me a time to get them back up to temperature.